A new version of the ATCO website was launched August 1, 2014. The new site can be easily accessed on a tablet or smart phone. There is now a calendar and it will now be easier to add or update most of the pages. Part of the changes does require everyone to re-register on the website. You will be asked for your call sign and if you are registered on the old site then it should transfer your dues information over to the new site. There is also a page (under the Members tab) that will let you view your account status. You can look at your member status by going to the Members tab and selecting My Account. If you paid your dues last year the report will show that your dues expire on the same day you paid last year. But as long as your member status says paidMember you are considered paid up. In order to pay dues online you must first log into the website with the account you created. Once logged in, go to the Members tab, then select the Pay Dues option. You will then be able to pay via PayPal. If you do not have a PayPal account, PayPal will allow you to pay with a credit or debit card. 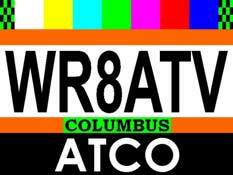 The ATCO Group Inc., organized in 1980, is located in Columbus, Ohio USA. We have about 60 members, 40 of them within a 50 mile (80 km) radius. Our main purpose is to further the exchange of information and cooperation between our members, promote ATV knowledge, operating excellence and conduct activities to advance the ATV general interest and welfare. We operate a high profile ATV repeater with (5) ATV outputs: 423 MHz DVB-T digital, 427.25 MHz VSB, 1258 MHz FM, 1268 MHz DVB-S digital, and 10.350 GHz FM and (4) ATV inputs: 438 MHz (digital), 439.25 MHz, 1288 MHz (analog), 1288 MHz (digital) and 2398 MHz located 650 feet (198 m) above street level and within 50 feet (15 m) of all antennas! Our digital DVB-S repeater signal is the first and still the only operational one in the USA! The ATCO Newsletter is available for all members 4 times a year containing local events, ATV news, construction articles, tips/techniques, meeting announcements and whatever else we find of ATV interest. Archived newsletters can be viewed by all on our internet homepage at atco.tv. ATCO helps to provide security video coverage for various local public events such as the annual Independence Day fireworks show in Columbus, Ohio (which historically draws over 500,000 observers), various parades, local air shows and airport disaster drill activity. Additionally, we provide local severe weather video observation that helps identify potential damaging storms to the public. We host annual "Spring and Fall Events" to serve as formal club meetings along with a means to meet our members face to face, have a free lunch, conduct a short business meeting, engage in a discussion round table, host a mini Hamfest and pass out door prizes. (No one goes home without a door prize!) We also have pizza parties to swap stories and eat pizza. Below are the sequenced ID patterns displayed continuously on 423 (digital), 1268 MHz (digital) and 10.350 GHz (analog) when the repeater is not in use. When it's in use all (5) outputs simultaneously repeat the incoming video signal. Click on the title above to see the repeater detail summary. Here we supply some basic information about digital DVB-S ATV. We believe that DVB-S is the correct choice for DATV in the USA and is justified in the discussion. 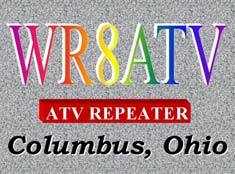 Our repeater is the first and presently, the only ATV repeater using DVB-S in the USA. It has been in 24-7 operation since January 2004. Click on the title above for more information. Here is a good explanation of DVB-S from Ken,W6HHC and Robbie, KB6CJZ in California also working on DVB-S Amateur TV. 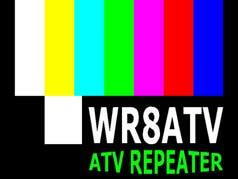 They are presently experimenting with this format and hope to incorporate it in their repeater soon. (10/30/09) Good luck, guys. 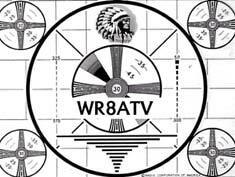 Here is a good explanation of how to plan for building a Digital ATV Station. This article will cover planning to create your own D-ATV station. But to a certain extent (especially in the US), Digital-ATV seems like a maze. There are plenty of decisions that need to be made to plan for a D-ATV station. Click on the title above for more information. Here is an article that will explain a few Digital-ATV concepts that are typically not understood by hams and even analog ATVers. Using the DVB-S standard to transmit a digital ATV signal involves understanding these concepts. Click on the title above for more information. Click on the above title to get an idea of the various commercial digital television formats in use today. Our group publishes an ATCO newsletter 4 times a year containing local events, late breaking ATV news, construction articles, tips/techniques and whatever else we can find that has ATV interest. This is not just a single page flyer with repeated old news. Each issue contains advertisement free 20+ pages of up-to-date information. Click on the title above to read the archived issues published. Only ATCO members can view the current year Newsletters, so click HERE or on the PAY DUES/ JOIN ATCO sidebar, fill out the form along with $10 to get each issue Emailed directly to you. Pay by check or through PayPal. I guarantee you'll like it! NEWSLETTER CONSTRUCTION ARTICLE INDEX: The ATCO Newsletters contain numerous construction articles about ATV. The list displayed by clicking on the title above will summarize them from the first Newsletter to present day. Enjoy! This chart illustrates the relative levels of P0 to P5 analog signals. (The digital comparisons are totally different. See the "Digital ATV" section for an explanation). Actual pictures were taken off the air through an attenuator to illustrate the signal levels and how a signal progressively stronger in 6dB increments appears on a monitor. P0 represents a barely perceptible signal and is the noise floor reference whereas P5 is a snow free picture 30dB stronger. Click on the sidebar or title above to view the color picture illustrations. Find some of your ATV stuff here! Click on the sidebar or title above to view a list of ATV equipment manufacturers. There is no endorsement of any of the manufacturers listed so buyer beware. If I or anyone else that I know of has had any trouble with a manufacturer, it won't be listed. As I get more info, I'll add manufacturers. Likewise, if I hear of any trouble, it'll be removed. Our Tuesday night 8PM nets are streamed onto the internet via the BATC website here. I’ll keep it active from shortly before 8PM until about 9PM or when we close the net. If you are too far away to join our nets live, check in on the internet. I can see all check-ins and will acknowledge same. 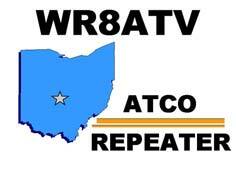 To join us on the internet, enter www.batc.tv and click on "ATV Repeaters" then "WR8ATV". It’s a lot of fun…try it! Click on the above title for details. WB8LGA has prepared a great USA map locating all known ATVers. It's a great way to find the ATVers closest to you. Also provided is a topographical terrain "slice" option to locate ground elevations between selected locations. It's packed with details too numerous to illustrate here. Click on the above title to go to Charles' web page featuring the map. 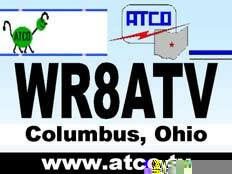 If you visit his site, be sure to log in and register your ATV location. 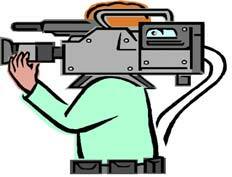 That way other ATVers will be able to locate you. What a neat way to get ATVers closer together!